We are reputed manufacturers and suppliers of Crystallizer that we offer our clients at nominal rates. 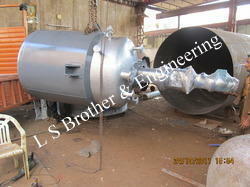 Our range of Crystallizer can be developed as per the different needs of the clients. These Crystallizer have proven to immensely useful with fermentation industries, biology, oral liquid, blood preparation, infusion, fine chemical and injection. We are involved in providing our clients with Distillation Column Project that includes complete solutions such as designing, commissioning and upgradation of resources used in installation. We ensure that these services are timely-executed and implemented under the careful guidance of our skilled engineers. These services are well-plotted based on the needs of the clients. We offer our clients with an unmatched gamut of Grease Cooking Kettle. The Grease Cooking Kettle we offer have no moving parts, therefore require less maintenance. This Grease Cooking Kettle aids bacteria control and indefinitely increases coolant life. 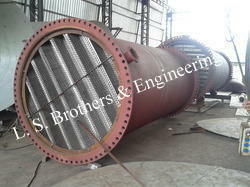 The continuous filtration process avoids machine shut down and facilitates periodical cleaning. The enhanced grinding wheel life improves production potential and the surface finish and dimensional accuracy of components. Hydro-cyclone classification provides a very generic and unique approach in gravity style clarification. There are no moving parts in the continuous operating centrifuge. This classification commences when the dirty liquid is pumped at a pressure of 2 kg/cm2 into the unequally designed head. The head allows the dirty liquid to start rotating as soon as it enters the helical axial distributor vane. The action of the helical axial distributor vane then introduces the dirty liquid into the cell in a narrow thin band. 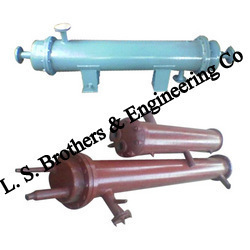 This action reduces the intersecting angle between the incoming dirty liquid which eradicates undesirable turbulences and ensures maximum clarification through lower energy losses as the dirty liquid flows downwards through the helical distributor vane. A free primary vortex develops along the outer wall of the carefully designed cell and accelerates downwards. Due to the high cyclonic action the solid particles accumulated near the inner wall of the cell are carried downwards and discharged with about 2. 5% of liquid through the outlet orifice. Due to orifice opening a differential pressure generates between the inlet and outlet. This opening allows air to enter the cell creating a secondary rising low pressure vortex. Clean fluid rises through the centre opening of the distributor vane (3), and is discharged out through the outlet of the head. Leveraging by the vast experience of this domain, we manufacture and supply the premium quality of Industrial Chiller. Manufactured as per the industry laid norms, the rendered Industrial Chiller is used for removing the heat from water vapor. To meet the precise needs of our patrons, we render the Industrial Chiller in various technical specifications. 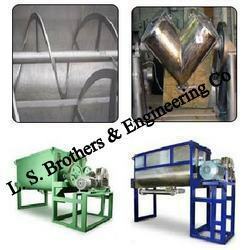 From the first day of our inception, we manufacture and supply the premium quality of Ribbon & Twin Blender. Ideal of blending or mixing of different materials, the rendered ribbon & twin blender is known for its excellent blending efficiency and ease of operations. By following total quality management, we assure that the quality of ribbon & twin blender is never compromised at our end. 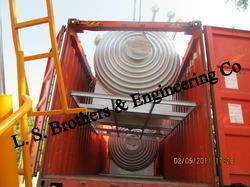 We are reputed manufacturers and suppliers of Storage Tanks that we offer our clients at nominal rates. 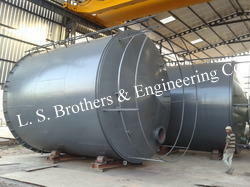 Our range of water storage tanks can be developed as per the different needs of the clients. These tanks have proven to immensely useful with fermentation industries, biology, oral liquid, blood preparation, infusion, fine chemical and injection.